A funny thing happened last night as I was about to head to City Hall for the Homeless Supportive Housing Workshop - more on that in another post. I thought I'd check my email one last time and got hit with a whopper! I found the announcement that the Costa Mesa City Council will, at its meeting Tuesday, January 21st, consider creating an entirely new department and add a dozen people to the municipal headcount - including four (4) new police officers! You can read the announcement HERE. Yeah, I know... it caught me off guard, too. As you will read in the press release, this will result in an annual cost of $1,640,000. Some will recall that only a few short years ago the city headcount was 611. Today it is down to 467. Part of that change was as a result of departures due to the economic downturn and enhanced retirements to save the city cash. However, this current council majority has been vindictive and irresponsible by not permitting departments throughout the city to fill vacancies promptly. As a result, we've seen excessive numbers of overtime hours and service declines in many areas. And this council majority has made more work for the staff through many of their actions - a dramatically increased number of committees, for example - each of which requires many hours of staff preparation and attendance. OK, let that sink in a little and we'll take it from the top. The two Senior Maintenance Workers are necessary because the current depleted staff cannot keep up with the workload. We used to have seven (7) people in that department - now we have 2.5! They've tried to back fill with overtime and contractors. Didn't work. The Public Right-of-Way Coordinator is a brand new job, apparently necessary to keep up with the demand to identify and resolve potential hazards on our streets and sidewalks - downed branches, raised pavement, etc. Also, as you look down the list you'll see - tucked right in the middle - a reference to "Senior Center oversight/management". 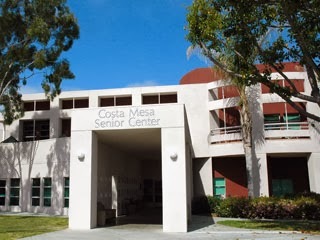 Well, right now the only people authorized to "manage" the Costa Mesa Senior Center is the Senior Corporation Board of Directors - an entity separate from the City. Having read the entire recent audit - performed by Ms. Letourneau and her team, by the way - there's no doubt in my mind that there's a plan afoot to take over the whole operation. Don't get me wrong... I'm all for operational efficiency and management effectiveness. The creation of this position just makes the organization chart at City Hall a whole lot more top-heavy. The next position makes me smile. It's for a new Deputy City Clerk, apparently necessary due to the huge number of public records requests. I'm guessing that most of those are due to major screw-ups by the current City Council majority. Once again, the consequences of their ham-handed attempts to micromanage the organization show up in a demand for more staff to manage the fallout. Similarly, the need for another Human Resources Analyst is due to the large number of recruitments being worked right now. I'm not saying we don't need that position filled, but the reason for the need can be traced directly to the actions - and inaction - of the current City Council majority. The toxic work environment they've created at City Hall has chased good, long-term employees out and resulted in the need to back fill positions. And, particularly in the case of the police department, their vindictive stubbornness kept the Chief from recruiting replacements for known retirements, which was only exacerbated by skilled, trained officers bailing out to other departments because of the atmosphere the council majority created. The need for a Buyer doesn't surprise me at all. The staff report doesn't provide us with a history of that organization, but we've lost several good people in recent years. The restoration of a Battalion Chief/Fire Marshall also doesn't surprise me. The Fire Department has had a leadership vacuum for several years, with remaining staff trying to fill the void - and being criticized for it because it took thousands of hours of overtime to do it. 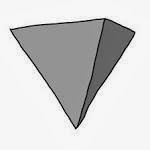 This position clearly is necessary and should permit our new Fire Chief to effectively manage his organization. AND A NEW DEPARTMENT, TO BOOT! Oh, yes... the City also plans to create a new department - Parks and Community Services - which apparently will have no fiscal impact on the organization. Makes one wonder why they're doing it in the first place. I guess we'll find out, huh? This one will report to the new Assistant CEO/Administrative Services Director position, above. The dialogue on this item next Tuesday - it's the last one on the agenda - should be worth the price of admission alone. See, Geoff...the brand is strong! Don't by so darn cynical. Isn't there an election this year? There's more than enough money to pay for employees. Righeimers million dollar "Boardwalk to Nowhere" just got nixed. That's one million. We could get rid of Steve's Lights in Fairview , that would give us another $650,000. ( Afterwll, he's not going to be lighting up anymore trails soon). This year we won't be spending an additional $400,000 plus, on anymore parties this year. Let the hirings begin. Had dinner last night with friends from Irvine. These people indicated that its a well known fact that our officers are spread so thin they don't want to make arrests for "lesser crimes" because it takes time off the streets for more important issues. We are already feeling the lack of police support as well as park ranger support. I'm glad they are adding a few more officers but we really need more. I love the timing - just as we start the election cycle a funny little leprechaun shows up with a bag of gold to pay for staff! Aren't we happy? Aren't they great? Is the public that stupid? On a practical level, they are making permanent hires for temporary fixes. When they get voted out and we return to good governance, there will be fewer public records requests and the need diminishes. When we are done hiring, that need goes away, too. Curious. And I agree with your skepticism about the job that is seemingly tailored for and by Ms Letourneau. So much for my 2014 resolution to be less cynical. Doesn't the city already have a Parks and Recreation Department? How is Parks and Community Services different? I'd like to see more police officers and less spending on 5th floor executives. Parks and Community Services is for steve's new sports facility coming soon to Fairview Park and the $600,000 lighted parking area (in a dust to dawn park?). Gee whiz silly prople. Come on now.